Mexican animation shingle Anima Estudios is taking the “Top Cat” franchise back to the bigscreen with “Top Cat Begins.” In 2011, Anima produced “Top Cat: The Movie,” which became the highest grossing Mexican film that year, clocking 2.5 million admissions and its $3.2 million on its opening weekend broke box office records. Toon was theatrically released in more than 25 countries. 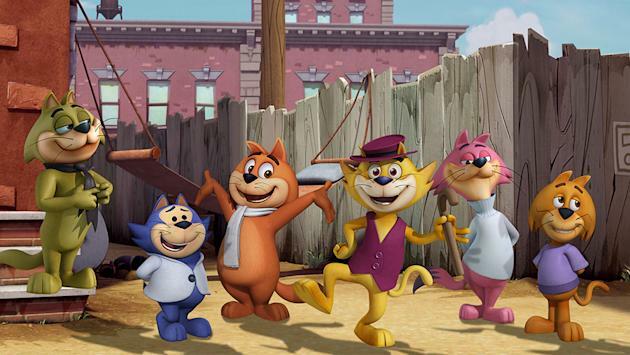 Warner Bros will distribute “Top Cat Begins” in Mexico. “ ‘Top Cat Begins’ is the most ambitious project in our studio’s history and the one with the most international potential,” said Fernando De Fuentes, chairman of Anima Estudios. “It’s not a sequel but rather a companion piece to the first ‘Top Cat,’ and will be in CGI, not 2D like the original,” said Anima executive VP Jose Carlos Garcia de Letona. To be helmed by Andres Couturier, Anima’s 12th animated feature is slated to debut in Mexico on Aug. 7, 2015. Anima is also in production with TV series “El Chapulin Colorado” for Televisa and is in pre-production on animated pic “Here Comes the Grump,” based on the original TV production by Mirisch-Geoffrey Depatie-Freleng Enterprises, makers of the “Pink Panther” series.